Chuck Ragan practiced in San Francisco for more than 25 years with Pillsbury, Madison & Sutro (and successor firms), before co-founding the first national boutique law firm to focus on emerging Information Law challenges (including eDiscovery and Privacy). While at Pillsbury, he litigated across the spectrum of complex commercial disputes (antitrust, securities, patent, contract) in U.S. court and international arbitration venues. 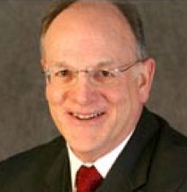 Through his work with Chief Judge Peckham and Magistrate Judge Brazil in the Northern District of California, he was at the forefront of the Alternative Dispute Resolution movement; and through his work with The Sedona Conference, he pioneered the rational development of e-discovery principles and norms. He has testified before the Advisory Committee on Federal Rules of Civil Procedure, and teaches courses on eDiscovery (at UCHastings, since 2014) and on Information Governance (at the U. of MN, 2013- Present). His substantive expertise ranges from simple contracts, through intellectual property (including international patents and licenses concerning biotechnology), competition issues, corporate governance, energy matters, joint ventures, mergers and acquisitions, mining, securities and derivative cases, representation and distribution agreements, insurance coverage disputes, and even RICO. He has tried cases in state and federal courts, and international arbitration venues (including Europe and Japan). He is a certified mediator, arbitrator, early neutral evaluator, information privacy professional, and e-discovery neutral. Chuck’s practice in Information Governance and eDiscovery has ranged the gamut from developing legally defensible approaches to the rational management of electronic information in complex business organizations generally, to cost-effective and practical strategies for handling electronically stored information in litigation or investigation contexts. Neutral Services: As an ADR pioneer, Chuck not only helped to develop procedures for the prototype ADR program in the Northern District of California, but also drafted unique protocols for the resolution of international and multi-party domestic disputes. He has served as a sole and a wing arbitrator in domestic and international matters. Through his affiliation with Redgrave LLP and its team of experienced technical advisers, Chuck can offer special master services to oversee any eDiscovery challenge in litigation or arbitration efficiently and practically. The Sedona Conference Commentary on Information Commentary (2013) (drafting team member). Ragan, Information Governance: It’s a Duty and It’s Smart Business, 19 Richmond J. L. & Tech. 12 (2013), available at http://jolt.richmond.edu/v19i4/article12.pdf. “Reevaluating the Rules for Discovery,” LA Daily Journal, May 21, 2010 (Co-Author with Daniel M. Kolkey). “The Sedona Principles (Second Edition): Best Practices Recommendations & Principles for Addressing Electronic Document Production” (2007), Annotated Edition (BNA) (Co-Managing Editor, as well as of earlier 2004 and 2005 Annotated Versions of the first edition). Admitted to the Bar in California (from 1976), Minnesota (from 2006) and New York (from 1975); all are Current. Nominated by his peers to the Who’s Who of Commercial Arbitrators (Law Business Research, 1999-2010). Listed as an Expert in Commercial Arbitration (Euromoney, 1999-2010). The Associated Press, N.Y. Bureau, Reporter and Editor (1968 (summer), 1969-1972).